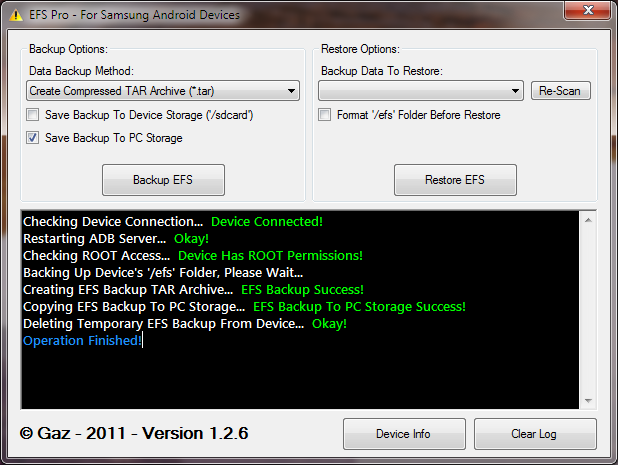 Advanced Backup and Restore of your Samsung Android Device '/efs' folder! Recommended doing this with a Mobile just taken out of the box or with any Official ROM of its Service Provider. 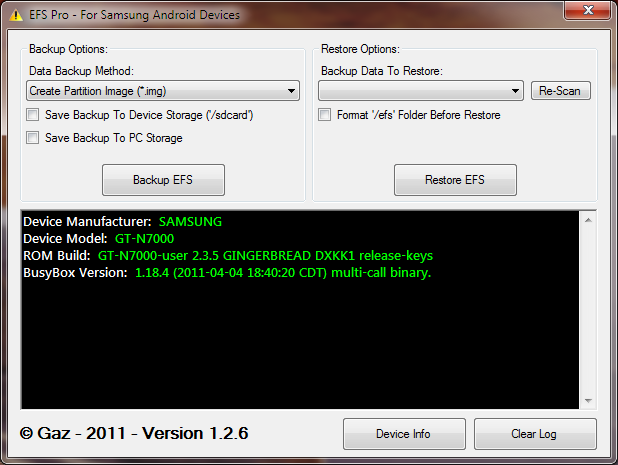 If you have already Flashed your phone with another ROM but its working fine, then you can use that /efs also. Make sure your device screen is on. 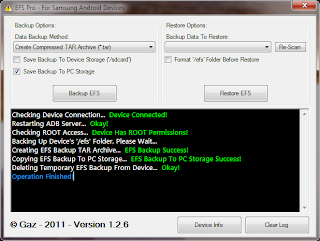 Also make sure your device is NOT in Mass Storage Mode or Backup and Restore functions will fail. Make sure you have Microsoft .NET Framework 4.0 installed on your PC. Compatible with Windows XP, Vista, Windows 7. Automatically Re-Mounts '/efs' folder with Read/Write permissions during restore for users 'stuck' with Read Only permissions. 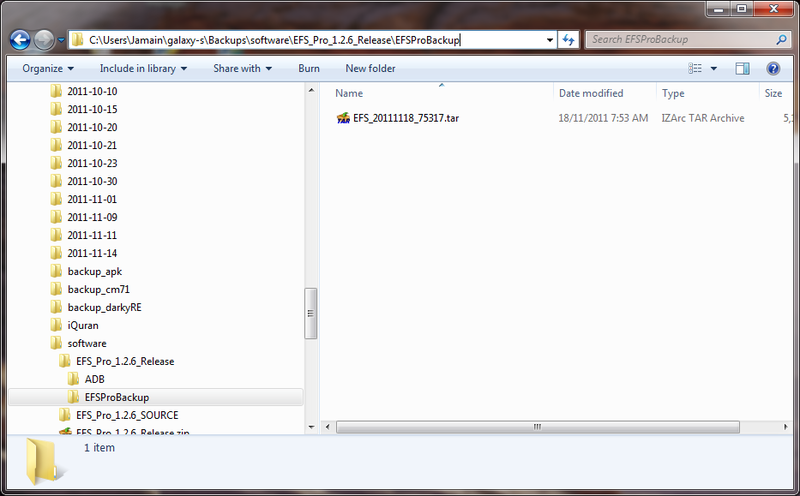 Option to Format '/efs' partition before restoring an EFS Backup. 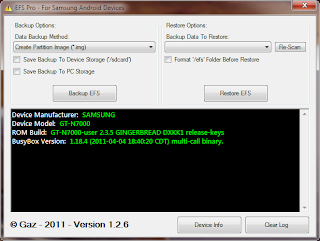 Displays Device, ROM and BusyBox information on startup. Tested on my windows 7 64 bits with ADB installed.